Stretch Goal 06 was just unlocked with $40K CAD Pledged, thank you to all our Backers. 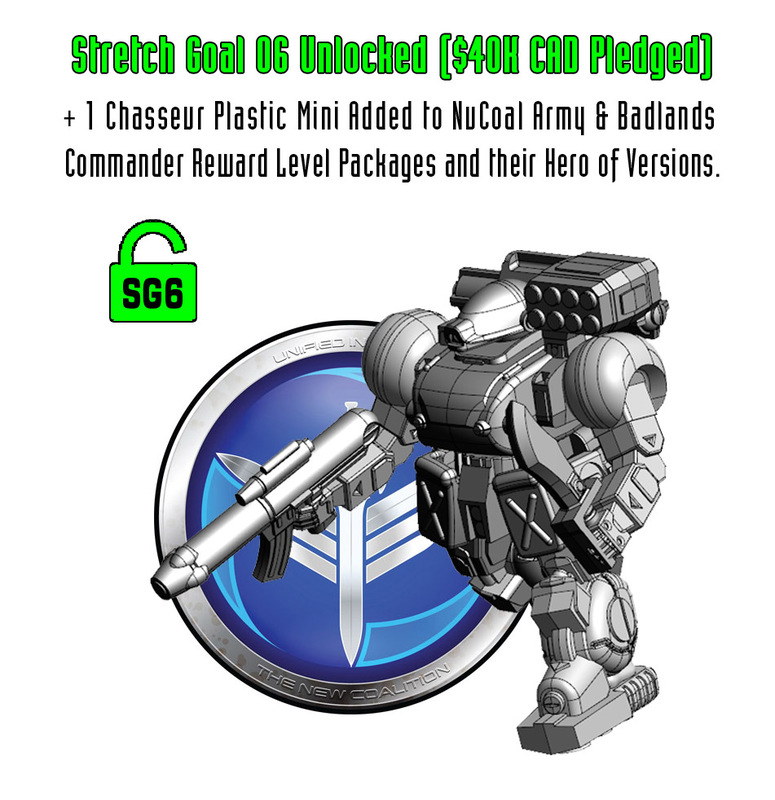 We’ll be adding 1 more Chasseur plastic mini to the NuCoal Army & Badlands Commander Reward Level Packages and their Hero of Versions. The Kickstarter ends Saturday May 26th, 2018 at 7:05pm EST, click the link below and show your support. Previous: HGB Peace River & NuCoal Kickstarter Final 19 Hours Update! Next: Another Successful Kickstarter, Thank You All!